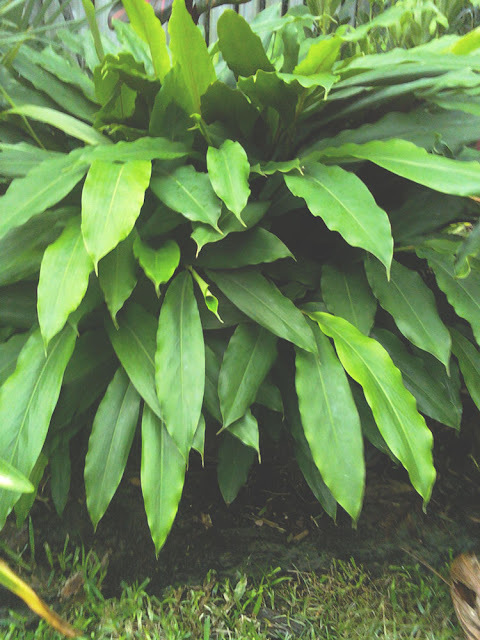 - "Queen Emma" crinum is sick! - My entada gigas sea bean is growing fast! 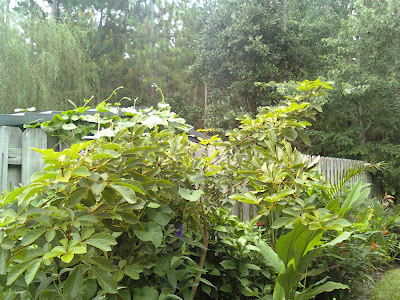 - Morning Glory vine is taking over! I need your help! My "Queen Emma" crinum is looking like its infested with spider mites, but I figure its unlikely since its out in the open where it gets dew and rain. Kimberly from Cannas and Bananas had the same issue herself earlier, and hopefully its been resolved. Has anyone else had this issue? Oh yeah, and today's pictures are with my cell phone since the good camera was unavailable. 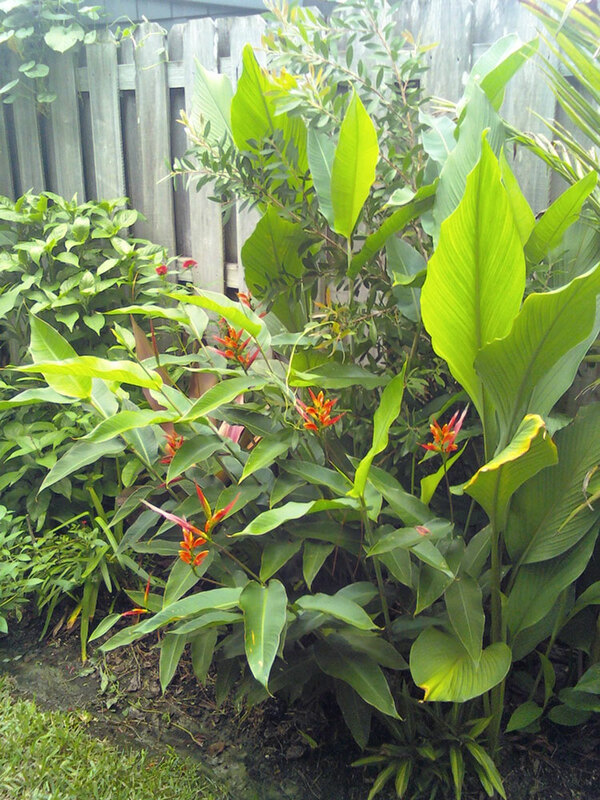 Well on the bright side, my other plants are all lush and green, especially my alpinia nutans, or false cardamom ginger. Isn't it beautiful? Just as a reminder, this was one of my toughest tropicals in this fiercest of winters, only getting frostburned on its outer leaves. I can't recommend it enough, but maybe its time to do a plant profile on it... stay tuned! 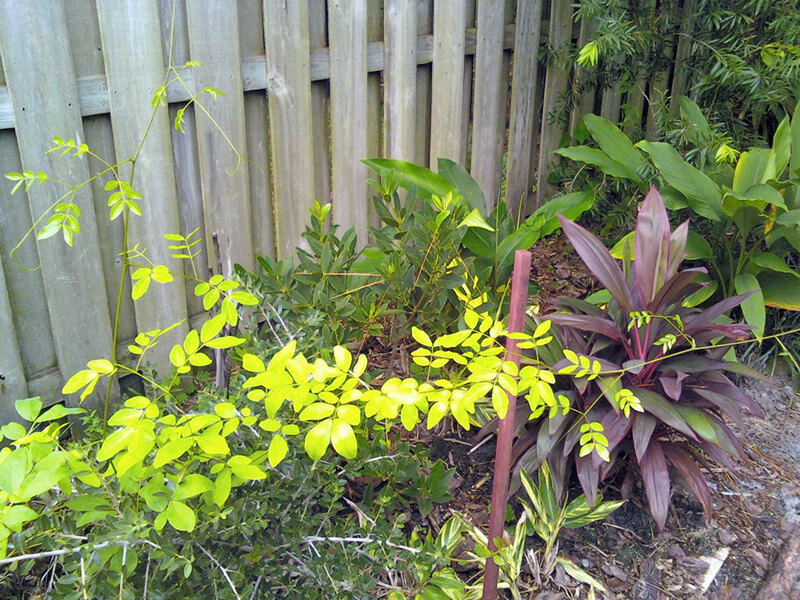 To the left of the false cardamom ginger is my beloved everglades palm, and like the ginger it prefers a nice moist spot. 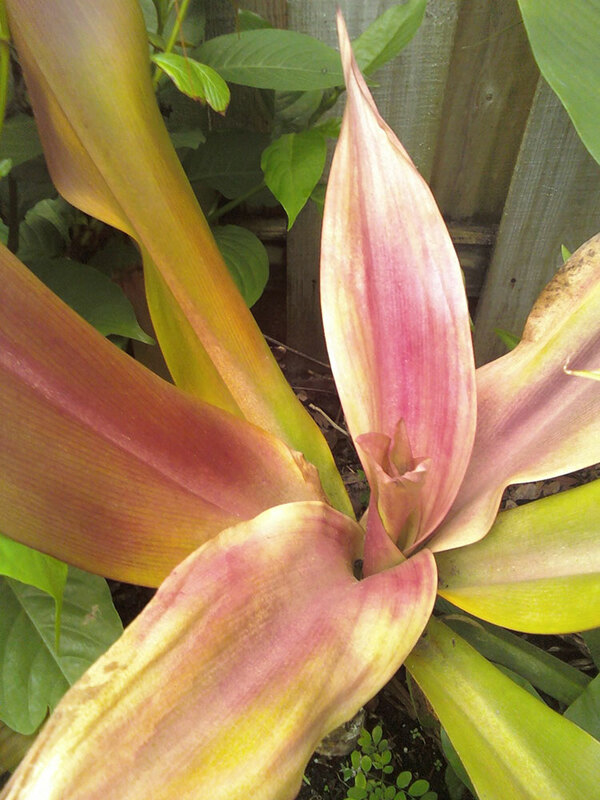 Behind those, my "bolero" ti plant is starting to get some nice color now that its adapted to the sun. I acquired it after the worst to the cold this winter, so hopefully it proves to be hardy enough. Still to the right of that is my entada gigas that I started from a lucky sea bean! 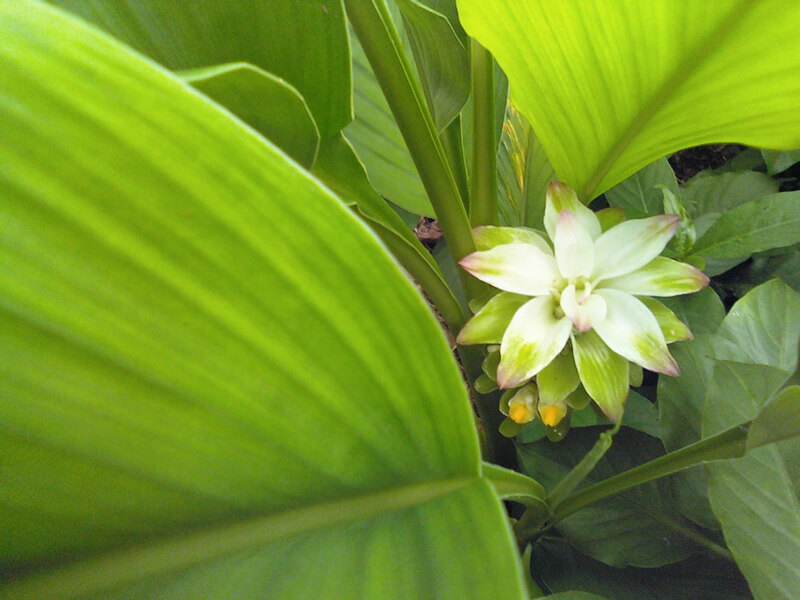 Curcuma Petiolata, or hidden ginger, is in full bloom! 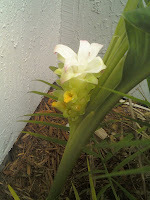 I have found about three inflorescences around the yard, but this plant has the prettiest one. Its growing in full and blazing sun, but its in constantly moist soil and the other plantings help to cool the root zone. These gingers grow like weeds in my garden, and even though I shared what I thought was 1/3 of my plants with a friend, I have three times as many as last year. The image to the left is of a neglected plant that accidentally traveled to the driest part of my garden two years ago along with my radicalis palms. 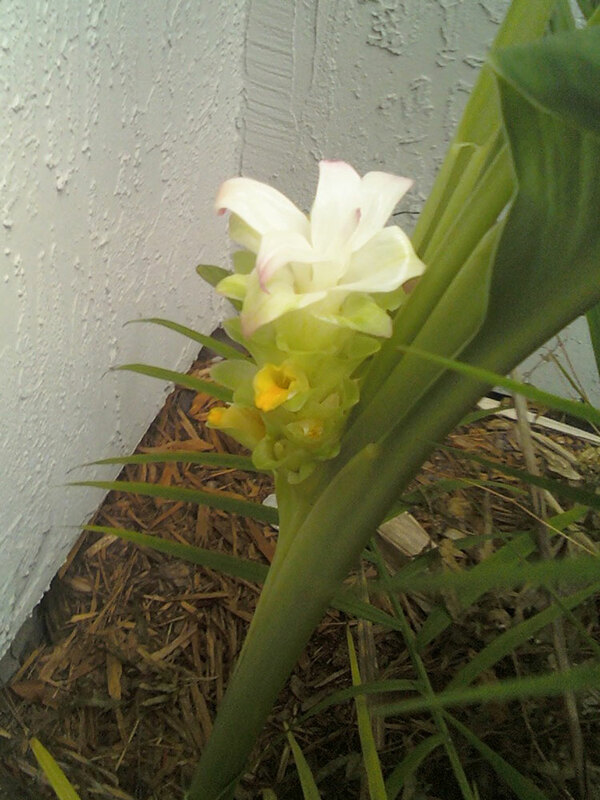 I wouldn't say its thriving, but for it to bloom under the rain forbidding eaves of the house is pretty neat. I still can't believe I have heliconias like this in my garden. 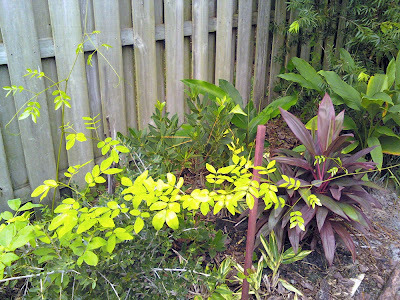 See how some of the leaves are getting as tall as the weeping bottlebrush behind it? This is one fast grower, especially considering it started out as a three gallon container in early winter. The plant at the very bottom is "kiwi" ti plant. 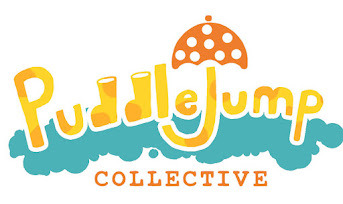 What a jungly mess! 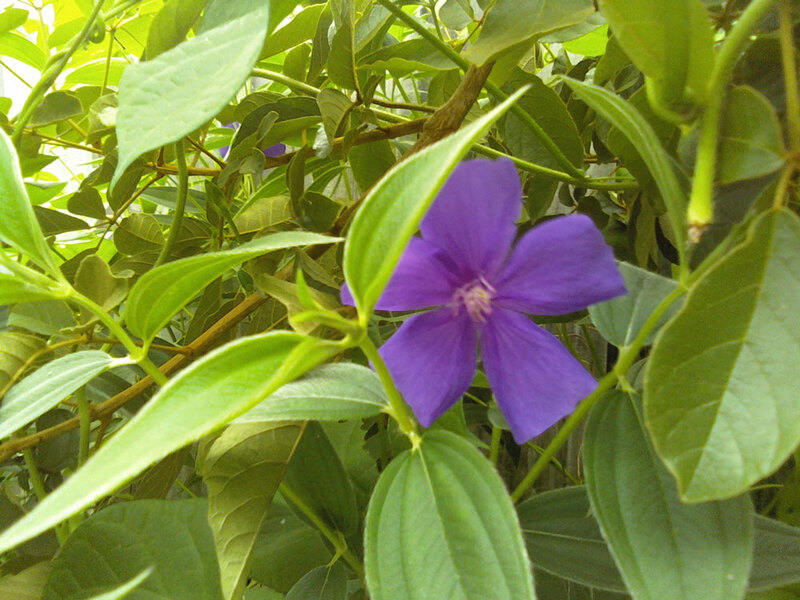 The plant in the foreground is weeping yaupon holly, and the bush behind it is a tibouchina or princess flower, seen blooming in the photo to the left. The tall tree is the tabebuia chrysotricha, and its branches have started to hang down low under their own weight, lending a messy look for the time being, especially with the rampant morning glory and moonflower growing behind it! My mom likes those morning glory vines, so I'll let them grow for a while. Its hard to tell where the tabebuia ends and the undergrowth begins! Even though the tree looks untidy for now, this is supposedly its natural growth habit, and the low horizontal branches will be perfect for bromeliads when the tree matures. Also, the wider the tree is, the more shade it provides! I've always been a fan of trees with character, and this tab promises to be one special specimen tree! Looking good. I like your heliconia. It seems to like that spot. 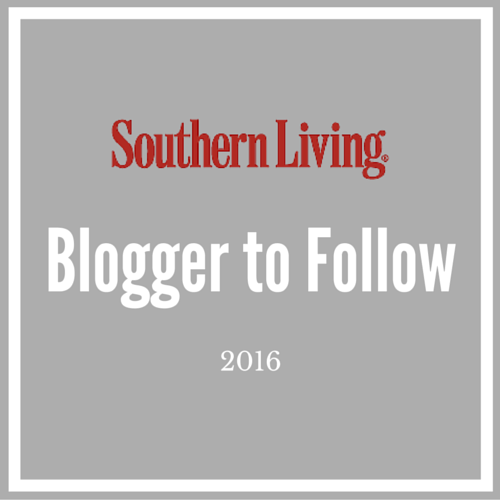 I'd never heard of seabeans before reading your blog so I've done some reading. What an interesting way to acquire new plants. 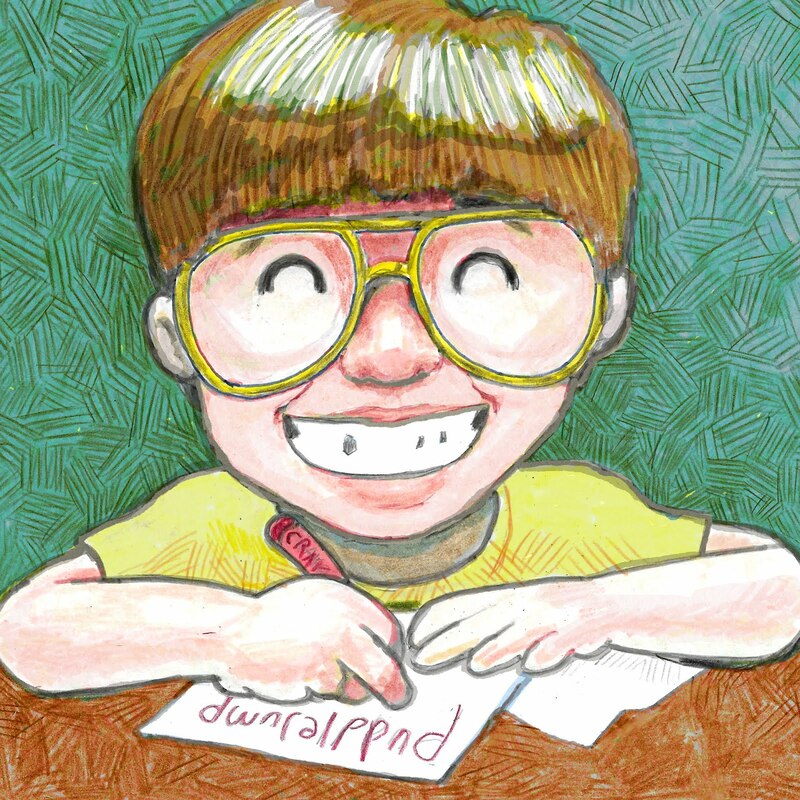 YOU DID REDO YOUR BLOG!!! 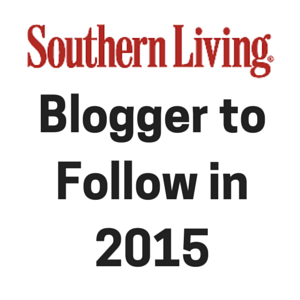 and its Blogspot? How did you get such a fab layout? I want those static pages at the top too. Oooo I just LOVE it. Nice, nice job. 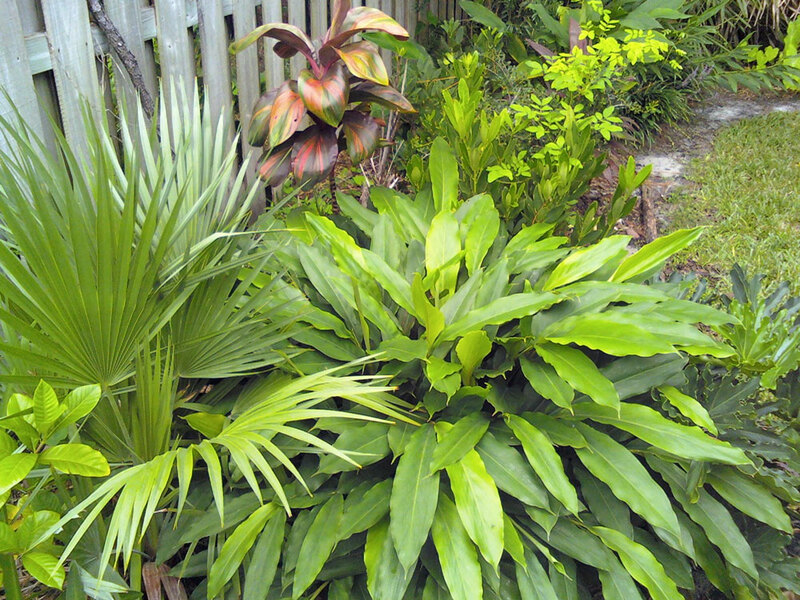 Beautiful tropical plants! Love those bushy heliconias and gingers!! Sorry I don't have any help for your Queen Emma. Sure hope it recovers quickly as it is beautiful. 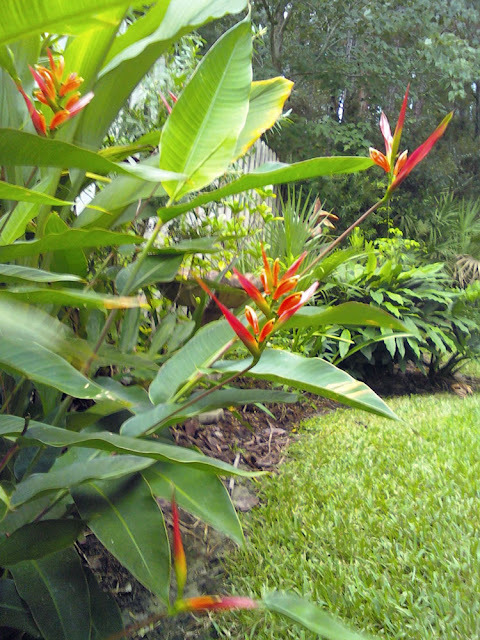 All of your gingers and that heliconia are looking so good. You've got quite the tropical paradise going there. I've never seen a 'Queen Emma' do that. Does yours ever sit in water? I always put the queens and other "tree crinums" in a dry, well-drained spot, unlike other types of crinum that I put in boggy locales. 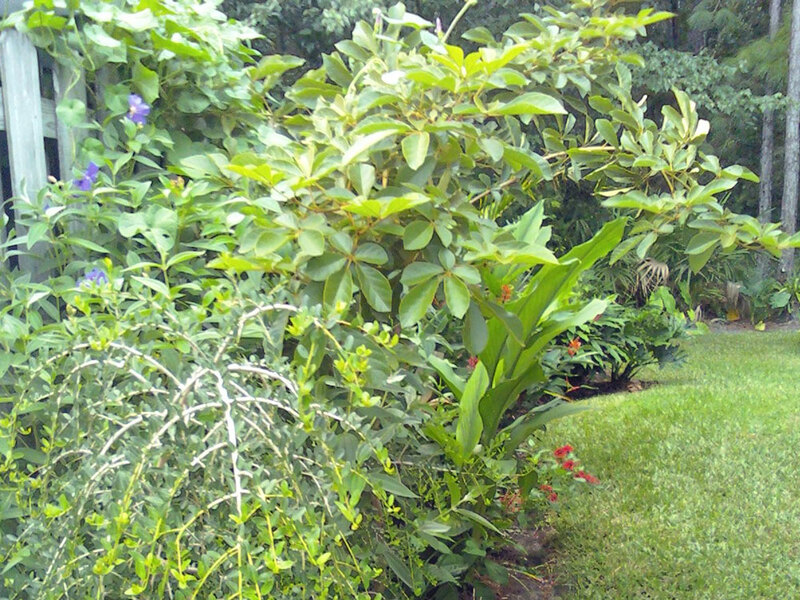 Your garden is looking so full and tropical! What a change from winter! I wish I knew your secret to heliconias. I just don't get a lot of blooms. Your garden is really very tropical. You are doing very well considering you live much north than my place :) Sorry about your Queen Emma, I don't have one, and can not offer any help. Maybe somebody else can help you. Your heliconias are really stunning! Thanks! I've actually started several plants from seeds found on the beach and I'm sure there's plenty of stuff to grow where near brisbane too! Just keep an eye out at the high tide line. Yup! I'm glad you noticed! I actually taught myself a lot of css to do it too... its been necessary to get the disign i had in mind! I've just been doing one bit at a time and I think I'm finally about done. Doing the summaries of the pages is actually pretty simple... theres a jump break icon above where you type your content, and thats where the summary would end. That means a lot coming from you! Your gardens phenomenal! Oh well on the queen emma. I might just have to relocate it and see what happens. You know what, you might have a good point. I don't have it sitting in water, but the soil is usually pretty moist... too moist for bananas in fact. I'll try relocating it! Thanks! 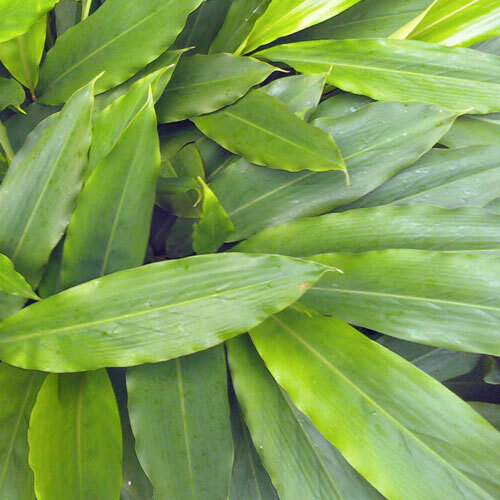 I think that the very thing that the crinum hates is great for the heliconias. They really like the moist soil! Yay! 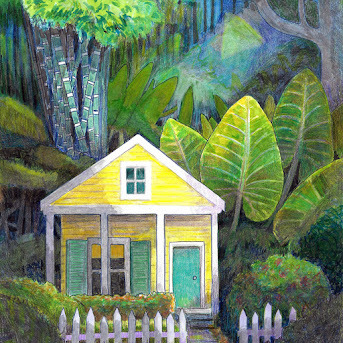 My goal is to someday make it look almost indistinguishable from the tropics... someday! I'm a sucker for gingers and heliconias. And looking at yours just validates why I love them. 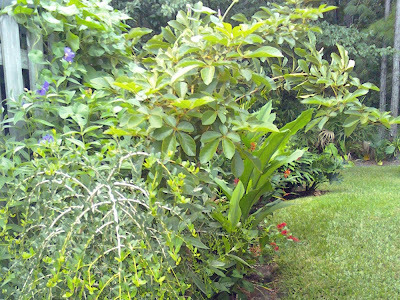 Your garden is so very tropical now, very lush and green. They really are great... I think that those lush green leaves say "tropics" more than people realize! Wow. Your garden sure is pretty! your garden looks really lush with pretty plants and flowers.The Heliconias sure look cute. Thanks for sharing these photos.